Custom details and thoughtful design create an inviting space with timeless elegance. This kitchen has completely transformed the home. 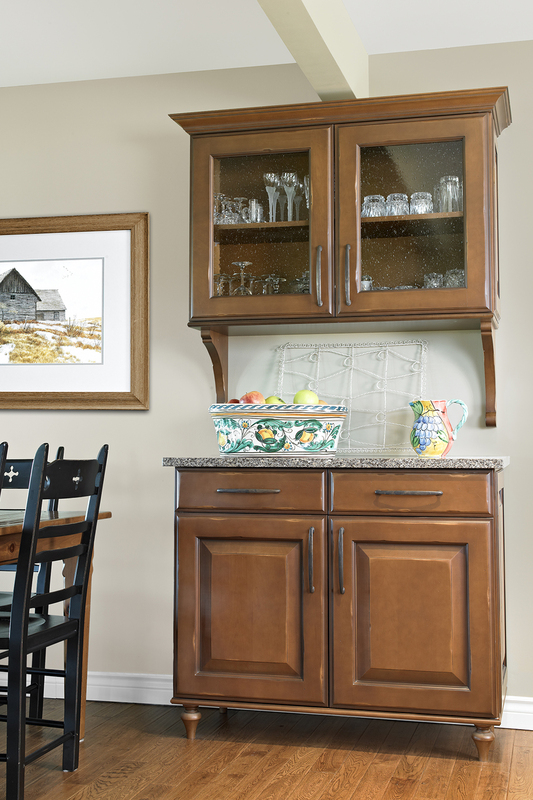 Decorative end panels, hutch, custom range hood and stacked crown molding have all come together to create this beautiful space, while the distressed island cabinetry and Italian handles add charm. The use of corbels, furniture legs and custom range hood set this kitchen apart. The addition of a farmhouse sink draws the eye trough the space and highlights the clients view.